In 1937, a marketing organization was born that encompassed the best and brightest from the worlds of business and academia. 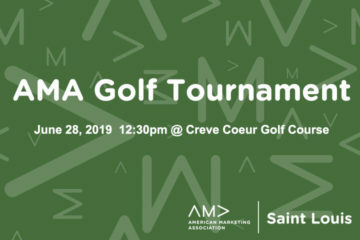 Both groups brought their passion and enthusiasm for the craft, as well as their varying goals and thoughts to create what has become one of the most respected, and premier groups in the country – The American Marketing Association. The earliest records of the St. Louis Chapter of the American Marketing Association date back to 1945, just a few years after the formation of the national organization. Over the years, our chapter has been led by academics, corporate marketers, and agency heads, all of whom have shared the common vision of providing a learning, networking, and professional support system to marketers of all kinds. The dedication to our mission, to advance the study and practice of marketing, has brought top notch programs, discussion groups, and social events to the St. Louis marketing community since our founding. American Marketing Association – Answers In Action. Monthly programming open to both professionals and students focuses on a broad range of topics that face marketers each day. 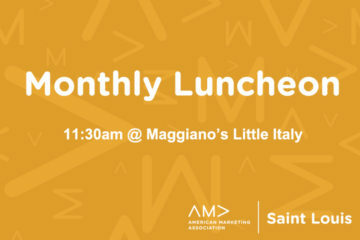 From traditional to online media, from event marketing to trade shows, and from public relations to word of mouth, ongoing and up-to-date education of the area’s marketing community continues to be one of the cornerstones of AMA St. Louis. Each year, our annual marketing conference draws hundreds of students, professors, and professional marketers to St. Louis from all across the Midwest. For nearly 50 years, it’s been regarded as one of the premier marketing events in the region. And of course, there’s always time for a little fun. Quarterly socials (otherwise known as happy hours) allow for networking in a casual and relaxed environment. AMA St. Louis socials take place at many of the newest, hippest locations around town, and are typically attended by upwards of 100 members and guests. So what does this mean for YOU? AMA St. Louis offers you the opportunity to hone your craft, perfect your skill, and build your own professional network – one that’s right for you. With the wealth of programming, online resources, and casual networking events, you’re sure to find an opportunity to plug into the events that will best serve your needs and advance your own study and practice of marketing. Are you ready to embrace AMA?